Empty nesters have spent years thinking about other people. Now it's time to focus on themselves. Look for something they'll really like, not something for the kitchen or garden. The more self-indulgent the better! Anything luxurious and totally indulgent is perfect - a big bunch of beautiful flowers, a bottle of champagne. A gift voucher for a massage or manicure. 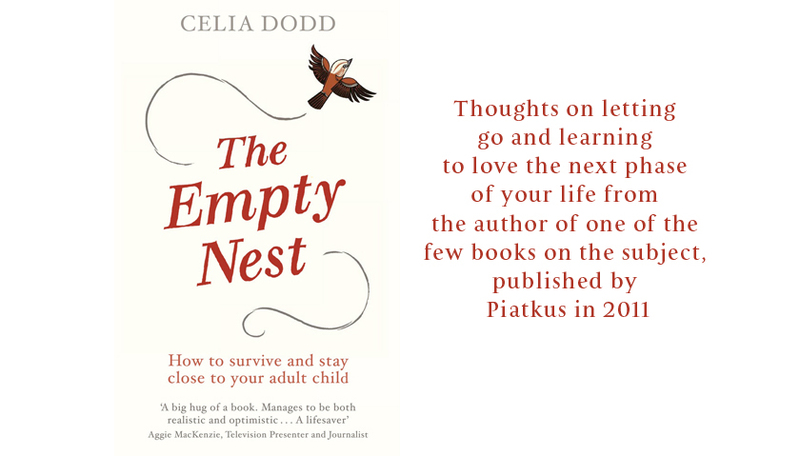 A great empty nester novel like Olive Kitteridge by Elizabeth Strout (also on DVD) or Joanna Trollope's Second Honeymoon. A gift voucher to try something new - a riding lesson? a writing course? Dancing lessons? An activity to do together? Empty nesters are keen to try new activities - but they often appreciate a nudge in the right direction. So a book or voucher are great ideas. Organisations like Creative Breaks have Christmas vouchers for a variety of courses. 'Mamma Mia' on DVD - OK it's a cheesy old chestnut but it's very cathartic. Grown men weep when Meryl sings 'Slipping through my fingers' to her departing daughter. Shapeless fleecy PJs or slippers shaped like bunnies. Oven gloves. A cookery book is acceptable - just about. Socks, soap or hand cream. Unless they are seriously posh.